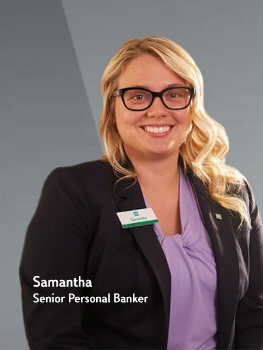 Samantha is a Senior Personal Banker in Brownstown, Michigan and she was chosen to star in our Ask a Citizen advertising campaign based on her professional strengths. 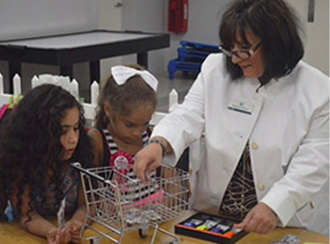 Enthusiastic and dedicated, Samantha is a great example of how the real people who work for Citizens are able to help customers address their real banking challenges. Since the ads launched, she has been attracting the attention on TV among her friends and customers. How long have you been with Citizens? I have been working with Citizens for nearly three years. I started as a teller in Dearborn, Michigan, and I took a promotion to teller manager in Detroit. After a year in Detroit, I transferred closer to home and was the teller manager in Southgate for a year. 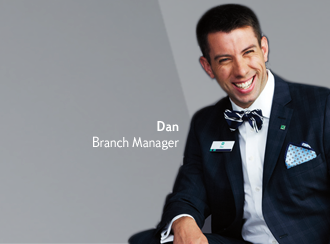 Because I wanted to be able to sit with customers and help more than I could at the teller line, I became a senior banker in February 2015. Give us an example of how you deliver the best possible customer experience. I put myself in my customers’ shoes—because I have been in their shoes. I come from a family with little money, and I have worked for everything I’ve ever had. I appreciate hard-working people, and I find pride in helping them achieve their financial goals. Why did you decide to enter the Ask a Citizens contest? One of my colleagues asked if I had submitted an entry to the contest. I never thought in a million years that I’d be picked! Tell us about your winning essay. I wrote about how I personally save money. I am saving for a house, getting married and saving for my daughter’s college fund. Twice a month, I have money transferred into my daughter’s college saver. That’s a foundation for her future each week. Every little bit makes a difference. Have you heard from friends or colleagues who have seen your ad? A lot of people have posted on my Facebook wall telling me they saw me on TV. It’s still so unreal to me. I actually had a customer in my office, and another customer was yelling through the window that she saw me on TV! 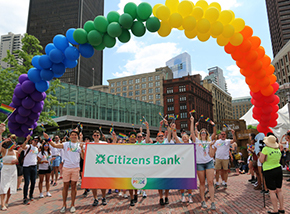 Learn more about Personal Banker careers at Citizens.